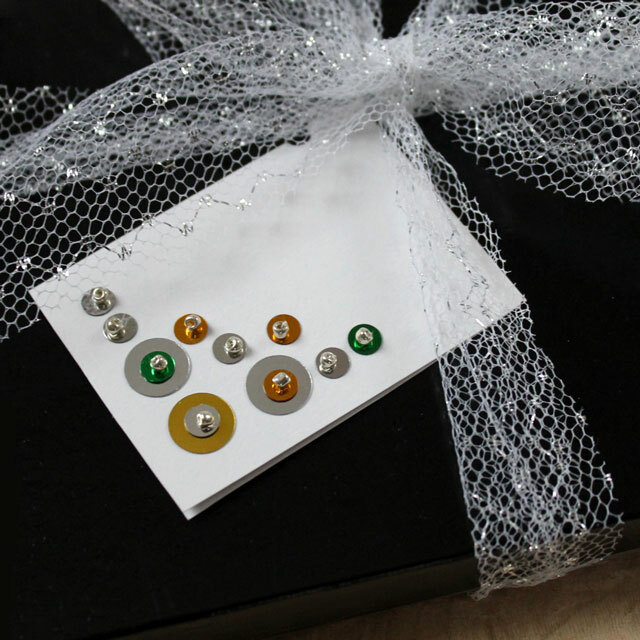 In case you feel a need a bit more sparkle this holiday season, how about making some gift tags with sequins and beads? 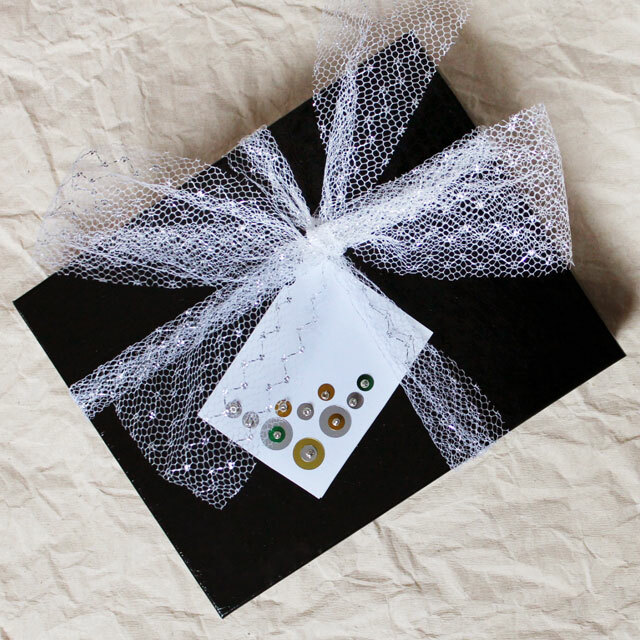 1: Supplies: Card-stock, sequins in various colours and sizes, small beads, thread matching the card-stock, a thin needle that will go through the beads (try one that is called a 'sharpie'). 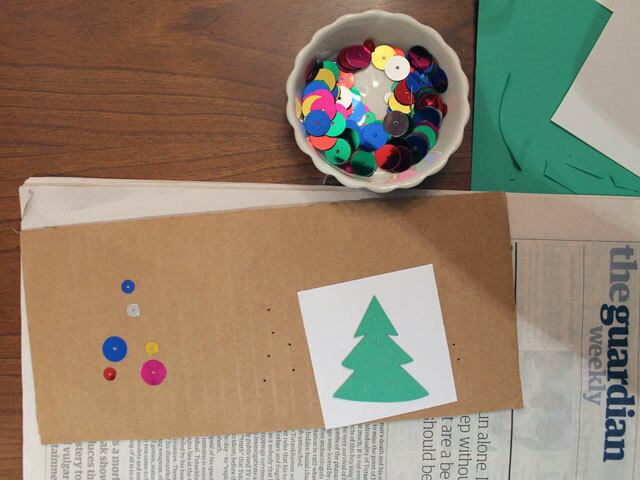 2: Using card-stock, cut out your base, either for a card that will fold, or for a tag. Use multiple colours if you'd like. 3. If making a card, score and fold it. 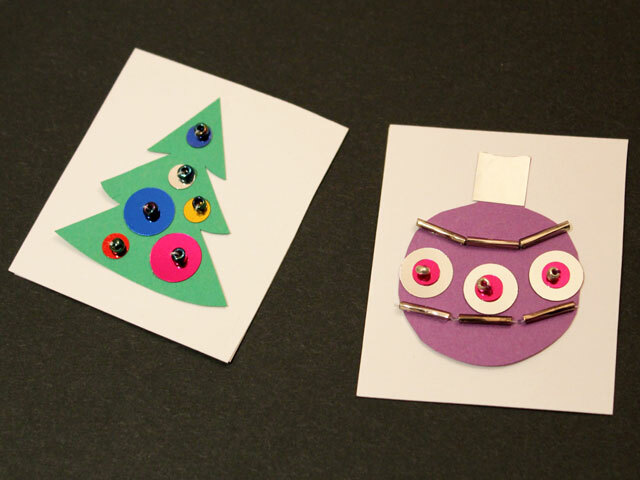 4: Arrange your sequins into a pattern you like and mark with a pencil through the hole. 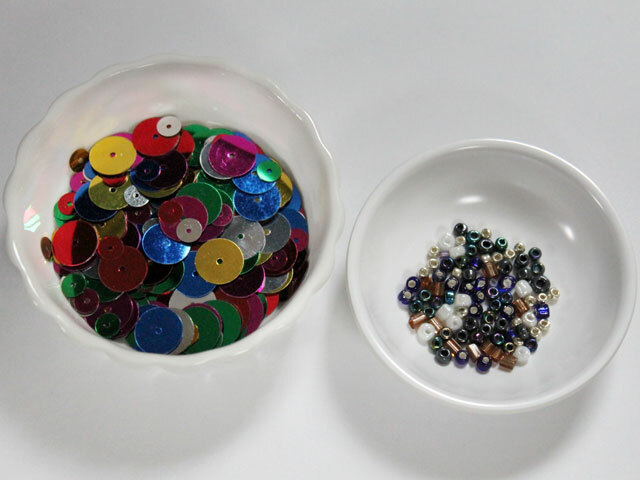 5: Slide the sequins off but try to keep them in order so you'll remember what goes where. 6: Poke holes where your pencil marks are, being careful to protect your working surface with cardboard or newspaper. 7: Using a single thread stitch from the back and through a sequin and bead. 8: Stitch back through the sequin and card-stock only. This will cause the bead to anchor the sequin. 9: Stitch them all on. Over lap two different sized and coloured sequins or add paper embellishments attaching them with two-sided tape if you'd like. 10: Tie a tight knot at the back and trim the ends. For the cards, if you'd like you can cover the thread if you'd like. 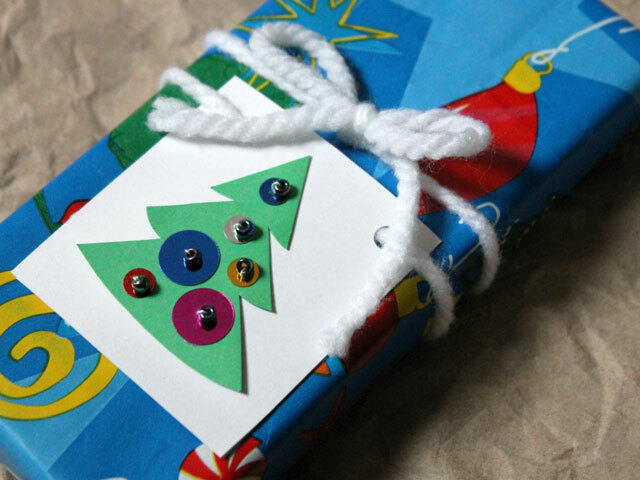 For the tags, write your message on another piece of card-stock that is slightly smaller than your gift tag, and attach to the back with two-sided tape. 11: Punch a hole into the card or tag. For the cards, punch the hole along the spine of the card. 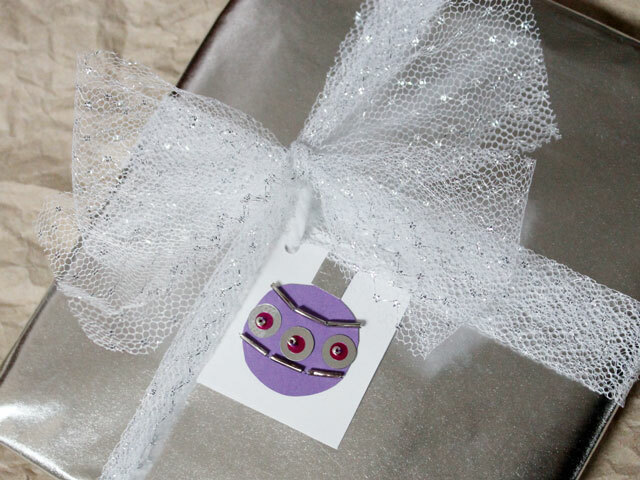 12: Attach some strings, yarn or embroidery floss to attach card or tag to your gift. I love stitching on paper so found these fun to make. Maybe you will too. Thanks for dropping over. Happy Friday. and I hope you have a great weekend. These are so cute, I love the bulb. These are so pretty, love it. The sparkly tulle makes nice ribbon. 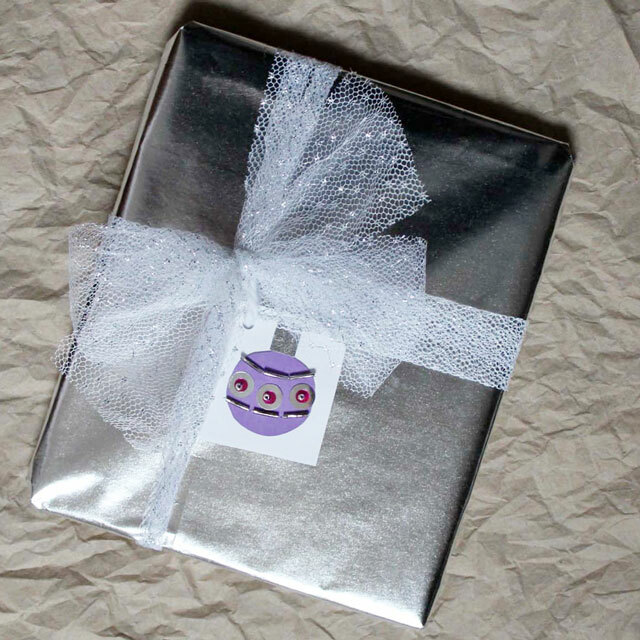 very pretty, Almost too pretty to use for gift tags! I bet this would be a great idea for cards, too. Eeeeee! I love the one with the tree! !